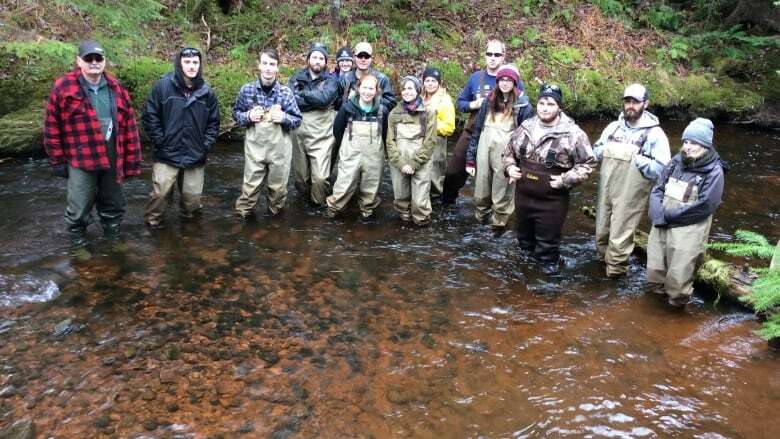 Watershed volunteers are counting salmon nests this fall in hopes of learning more about a unique strain of ancient salmon only found in two P.E.I. rivers. 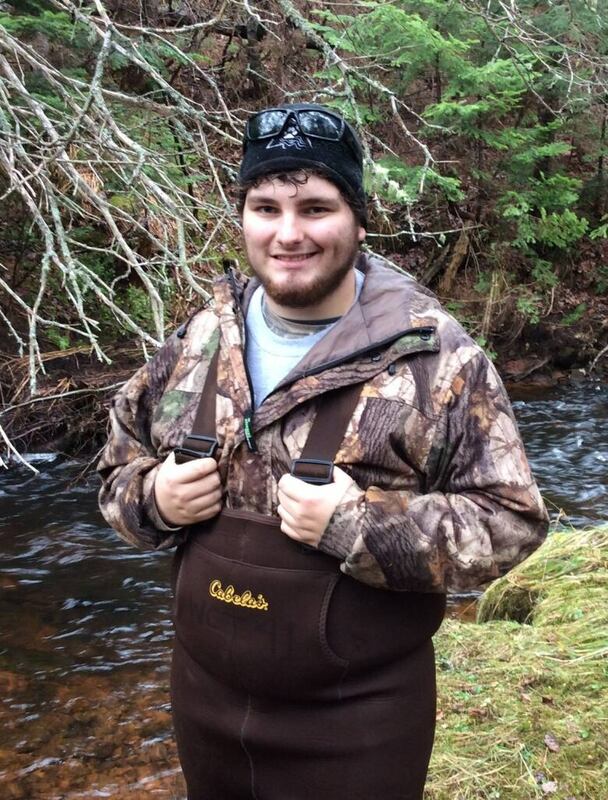 Volunteers in hip waders are spending hours walking in the shallow waters of some rivers in eastern P.E.I., looking for salmon nests filled with eggs, or reds, as they're called. The salmon that are returning to these rivers to spawn are special. DNA testing has revealed that the salmon may actually be an ancient strain of the fish not found anywhere else in the world. 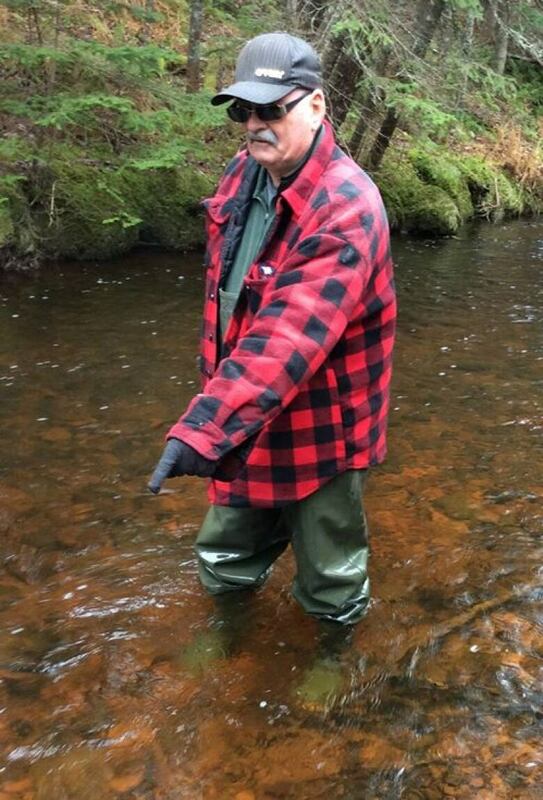 "We believe that we have the true ancestral strain of Atlantic salmon living in our rivers," said Fred Cheverie, area watershed coordinator with the P.E.I. Wildlife Federation. Cheverie led a group of students from Holland College's Wildlife Conservation program in a section of the Cross River, helping them to learn to identify reds. He and his staff and volunteers have been counting salmon nests every fall for years in the six main rivers in the Souris watershed. The salmon return to spawn at the beginning of November, and continue to lay eggs in to the first week of December. ​"It gives us some idea of how many fish are in our system," explained Cheverie. "So we've got good data going back a large number of years ... If you get an increase in the number of reds we must have an increase in the number of fish." Cheverie admits counting the reds can be hard work and so he appreciated the help of the students. "It's great to have a bunch of young people like this to come out," said Cheverie. "If you put in four or five miles a day walking this kind of stuff, stumbling over rocks, and you have to go the next day. You have to go home and heal." Holland College student Benjamin MacNeill was excited to be part of the salmon count, especially involving this unique fish. "I feel it just proves that there's still lots of discoveries to be made," said MacNeill. "They all push science forward. It keeps things interesting for us." Cheverie and his team tried to trap some salmon this fall to do more DNA testing, but their efforts failed, in part because of high rainfall which increased water levels. Next spring they plan to put acoustic tags on the smolts — or young salmon — to track their migration route when they leave P.E.I.